The historic War Memorial, serving the community since 1932, is centrally located in the State Capitol complex with convenient access from Route 29. Offering both grand and intimate settings, it features modern amenities while maintaining its original Renaissance Revival and Art Deco luster. 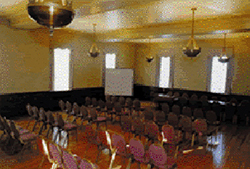 For rates and availability, please email Rentals.NJSM@sos.nj.gov or call 609-984-8484. 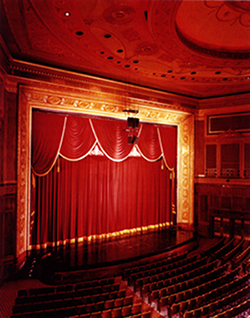 Seating 1,833 in a setting of Italian Renaissance Revival splendor, the grand auditorium has been a stage for world class artists and entertainers, as well as spectacular graduations and more. 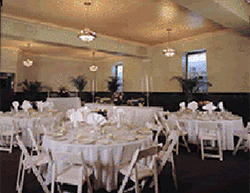 Meticulously restored to vintage Art Deco elegance, this 4,000 square foot space can accommodate up to 250 banquet style, or up to 480 for assemblies or performances. 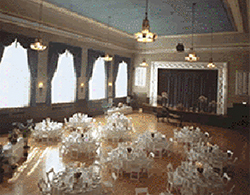 Less formal than the Ballroom, this 3,000 square foot room features pickled walnut wainscoting, cornices with rope molding, and Art Deco lighting fixtures. 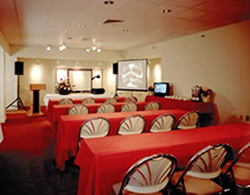 The room can accommodate 200 banquet style or up to 350 for standing receptions. These stately, light-filled spaces can accommodate up to 49 people each. The rooms feature polished wood floors and walnut wainscoting topped by faux-Caen stone. Perfect for small meetings or break-out sessions. 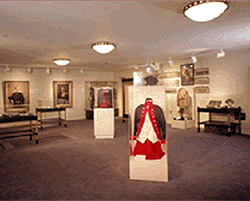 For more information, call the National Guard Militia Museum of New Jersey at 732-974-5966. Accessible from the Lower Lounge is the Green Room which can accommodate up to 50 people.